MANILA, Philippines – December 7, 2016 marks the 44th year since an assassination attempt was made on former first lady Imelda Marcos during an open-air event at Nayong Pilipino in Pasay City. 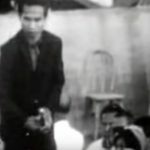 On December 7, 1972, Carlito Dimahilig, a geodetic engineer, attempted to kill Marcos during an awarding ceremony of her National Beautification and Cleanliness Contest. It was witnessed by Filipinos as it was aired over national television. As the awardees went up the stage and was received by the former first lady, Dimahilig drew his bolo knife and launched himself at her to stab her in the chest. Marcos was able to defend herself by covering her chest with both arms and throwing herself down on the floor. “When this man was hitting me with his bolo, I looked around, I said, ‘I wonder who he is about to kill?’ Little did I know that he was going to me,” Marcos later said of the incident. She also recalled wondering why her assassin opted to use an “ugly” weapon. “If there’s somebody who’s going to kill me, why do they have to be, why is it to be a bolo that is so ugly? I wish they put some kind of yellow ribbon, or some kind of a nice thing. Why such an ugly instrument?” Marcos said. 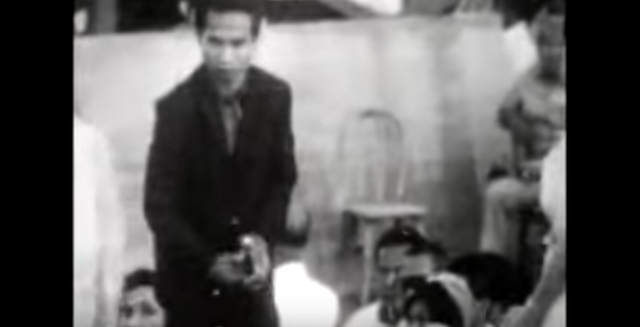 Dimahilig kept swinging the weapon, wounding several people surrounding Marcos. Security rushed in to help the former first lady, later shooting Dimahilig until he was killed. She kept her arm in an elegant gold-chain sling even when no longer needed, and claimed that she never recovered the full use of her right hand years after the incident. But the incident was marred with speculations behind its motive. Some believed that the assassination attempt was staged to win the people’s sympathy, as it was the year when Martial Law was declared. But for former president Marcos, the assassination attempt was planned as part of a right-wing conspiracy to kill both him and the former first lady. In relation to his, he ordered the arrest of key individuals believed to be behind the plot, including Sergio Osmeña III and Eugenio Lopez Jr.